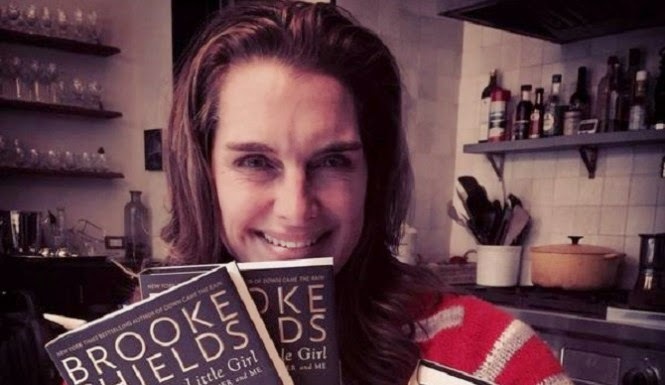 Brooke Shields has a new memoir - There Was A Little Girl: The Real Story of Mother and Me, - out November 19. The book is supposed to be more about Brooke Shields’ mother/manager, Teri, who died from dementia in October 2012, however most reports are focusing on stories about Brooke’s romantic relationships. In the latest revelations, model and actress Brooke Shields is dishing about her tumultous relationship with actor Liam Neeson. It was 1992 when they began dating, Brooke said in the book, adding that Liam Neeson wooed her "with his brogue, his poetry and his s---ty choice of cheap pinot grigio wine." Three months after they got together, he proposed and the couple spent the holidays before Christmas celebrating and drinking. The same month, Liam left Brooke, saying he was going to check on his house in Los Angeles, and he wouldn't be able to call her when he arrived, because it would be too late. He never called her again. That is where the story in the memoir stops but Brooke Shields says there is more, telling People, that Liam Neeson wanted to revive their relationship in 1993 but she turned him down. "He came back after the first time he left me and asked me to marry him again. This was before he started to do a play [Anna Christie]. And I said, 'No, no, no, because knowing you, you'll probably fall in love with your next leading lady and marry her, so I'm leaving myself out of this.' And I was dead right." In 1994, Liam married Natasha Richardson, the leading lady in the play, Anna Christie. I'm kind of shaking my head about why Liam failed to show up after he proposed to Brooke the first time and then dumped. Either he had been playing her, and had only said it to get on her or her mother's good side. Or, maybe he lied about checking the house and had another woman on the side. He probably never really loved her. It's good they both moved on and lived their lives, but I wonder why men use the M-word so easily to butter up women they are dating when they have no serious intentions of going through with it. And the way they do the dumping very disrespecful! Liam Neeson had probably had too much pinot grigio on the night he proposed and chickened out afterwards.